I was hired for a one time job for a large chemical company in West Virginia. The company used paper reports to record employee’s expenses and track company car mileage. The employees needed to remember to email excel documents weekly. The company had office personel which was tasked with combining the spreadsheets and building weekly/monthly reports. My project including building an online web application that replace the need for paper reports and repetitive weekly tasks. I was able to deliver a secure online web application that employees could log on to remotely and record their expenses. The website was built mobile friendly to allow employees to access the website on the road and report expenses as they were taking place. 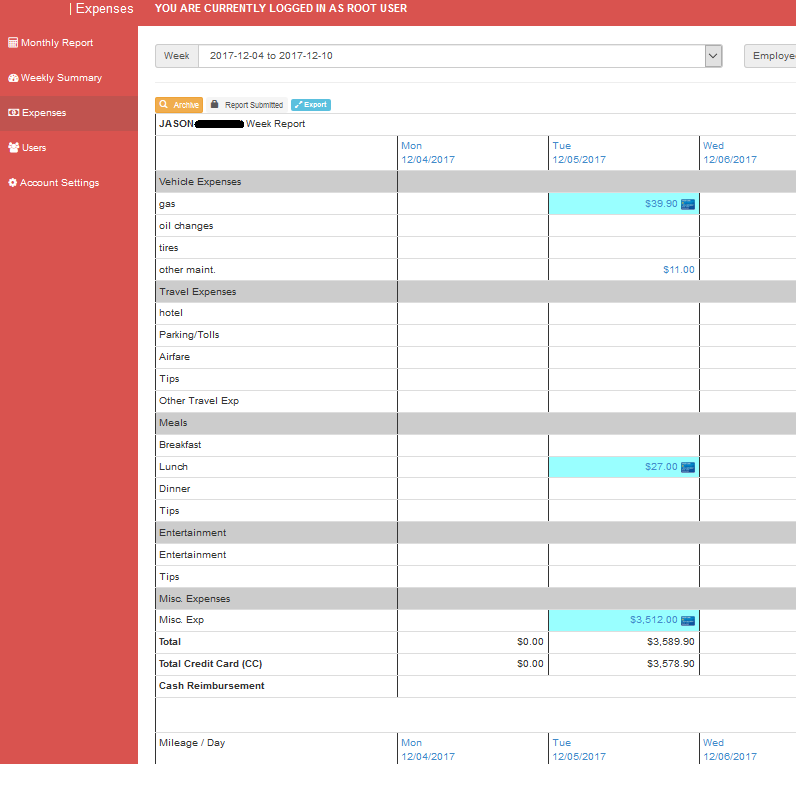 The website produces reports to management that directly mimic their existing reports. The website also included additional functionality to increase the productivity of the office personnel. Employees were able to flag their weekly reports as completed, or administration could mark the reports as locked after a certain time frame. The project was delivered promptly and the customer was very happy with the outcome. They continue to use the website today.